On 22 February 2016, H.E. 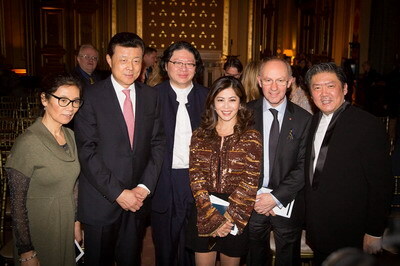 Ambassador Liu Xiaoming and his wife were invited to the Philharmonia Orchestra's Chinese New Year Concert at the Locarno Suite, FCO. About 150 guests, including David Whelton, Managing Director of the Philharmonia Orchestra, and representatives from political, business and cultural circles, attended the performance. Ambassador Liu spoke before the concert that this was the twentieth Chinese New Year he had attended in the past three weeks. That day also marked the Chinese Lantern Festival. As the highlight of the Chinese New Year events in the UK, the concert would for sure be the climax of the many weeks of Chinese New Year celebrations. 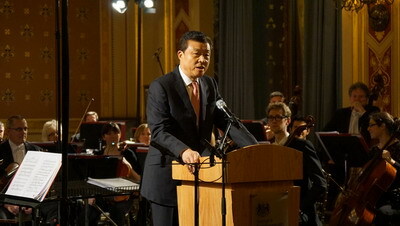 Ambassador Liu pointed out that the concert created a perfect match of Chinese and British culture. First of all, it was a perfect match of traditions and cultural heritages. 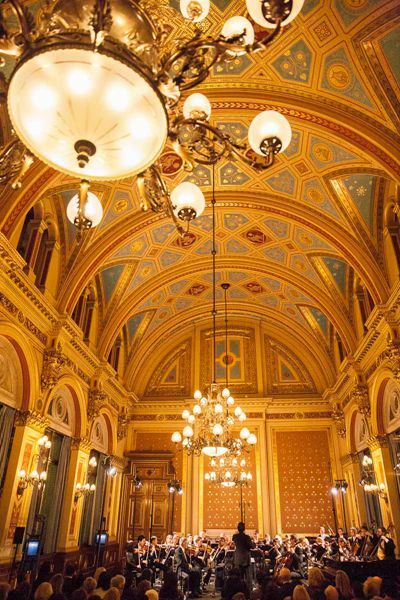 The historic Locarno Suite has witnessed many important diplomatic events in British history, including the visit by Chinese Premier Li Keqiang in 2014. The concert was not only a celebration of the Chinese New Year, it was a splendid contribution to cultural exchanges between China and the UK in the "Golden Era" launched by President Xi Jinping's state visit to the UK. Secondly, the repertoire was a perfect musical match of the East and the West. The concert was conducted by a distinguished Chinese conductor Maestro Yu Long. 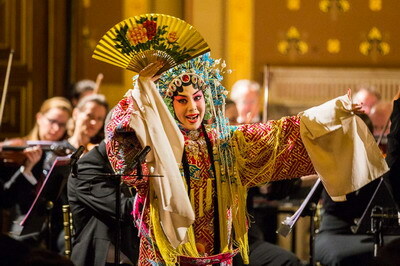 Besides, the audience also enjoyed performance by Peking Opera singer Wang Yi, the thirteen-year-old piano prodigy Johnson Li Zhongxin and Bamboo Flutist Xu Yan, in their debut with the Philharmonia Orchestra. Thirdly, the event was a good example of perfect partnership between China and the UK. It was made possible through the concerted efforts of a number of key partners. At the end of his remarks, Ambassador Liu expressed appreciation to the concert's partners from both China and the UK, calling the Concert by the Philharmonia Orchestra a brilliant highlight of the Chinese New Year celebrations in London. David Whelton, Managing Director of the Philharmonia Orchestra and the representative of the KT Wong Foundation also spoke at the concert and extended their New Year greetings to the audience.